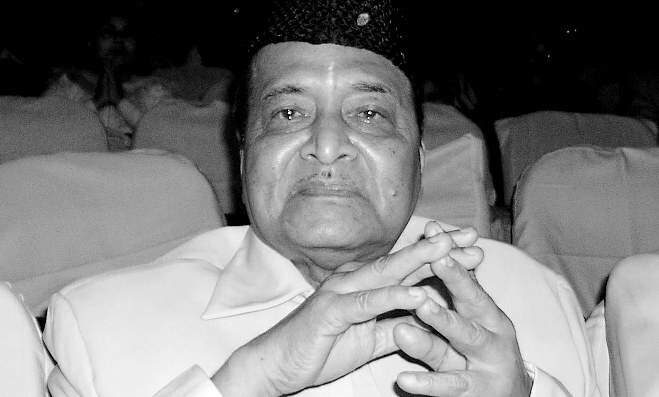 Legendary composer and singer Dr. Bhupen Hazarika’s funeral creates world record with the highest gathering of mourners paying tributes, over two days; though, Michael Jackson memorial service holds record as the most watched funeral on television. As recorded in Wikipedia, the wiki structured online encyclopaedia, Dr. Hazarika’s funeral was attended by 5 (five) lacs people and watched by 30 (thirty) lacs people on Television. Hazarika died on November five in Mumbai and his body lay in state at the historic Judges Field for two days from the night of November 7 for people to pay their homage before cremation on November 9. Dr. Hazarika’s funeral has made it to Wikipedia’s notable funerals representing historical funerals, based on both the number of attendants and estimated television. The list includes, among others, the funerals of Elvis Presley, Lady Diana Pope John Paul II, Martin Luther King Jr, Joseph Stalin, Joseph Tito, John Kennedy, Ronald Reagan, Ayatollah Khomeini, Ayatollah Montazeri, Benigno Aquino, C R Annadurai and Aryton Senna. Agreed Partha. His death has brought a hollowness to the Assamese society. There can be no one like him.